I have been so mad busy these past two month it started effecting my skin. That, obviously, is not good. I pushed myself back on track and while I was at it I also tried out some new skincare products. 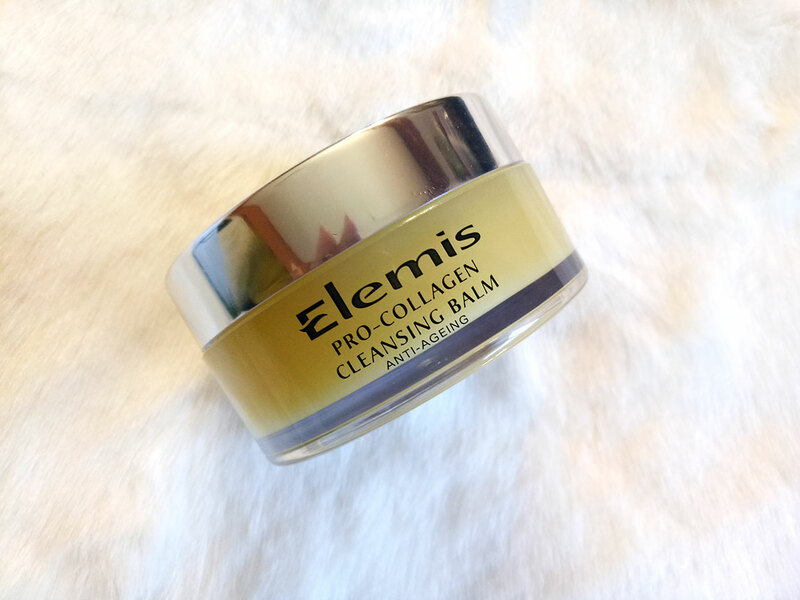 One of them is the ELEMIS Pro-Collagen Cleansing Balm. I am already a fan of cleansing balms so looked forward to trying this product out. I love double cleansing and cleansing balms are one of the essential products for this process. At times (for me most of the time) even after you remove makeup with a remover you still have hidden gunk. 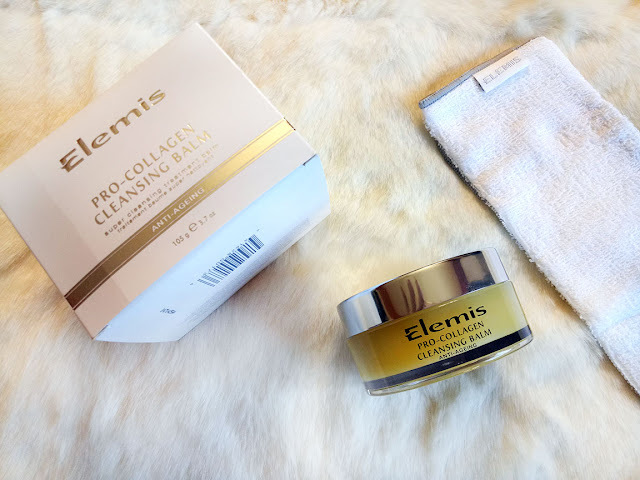 Double cleansing basically does deep pore cleansing; you use a balm to massage and dissolve the dirt and makeup on your face before washing it off and, if need be, follow up with a foaming facial wash.
Elemis Pro-Collagen Cleansing Balm has multiple benefits. Other than the fact that it does deep pore cleansing it is made up of essential oils that have skin rejuvenating properties. The box comes with a balm and face towel. You are suppose to wet the towel and cleanse the face with the towel after applying the balm. I usually wash it off directly as the balm emulsifies when you apply water to it. I mainly do that as I have combination to oily skin. If you have dry or normal skin you can use the actual towel wipe method as well. Make sure you use a small pea size amount as that is more than enough. Luxurious Rose and Mimosa waxes are infused with nourishing Elderberry, Starflower and Optimega oils and supercharged with anti-ageing algae, Padina Pavonica. It smells divine, very fresh & herby, you can actually massage it on your face, leave it for a bit and just relax for a while before washing it off. The formula is like a waxy balm which may melt in hotter weather but in cooler temperature it solidifies. This is due to the natural oils and waxes in this product. I have been using this for almost two weeks and can see the difference in my skin already. 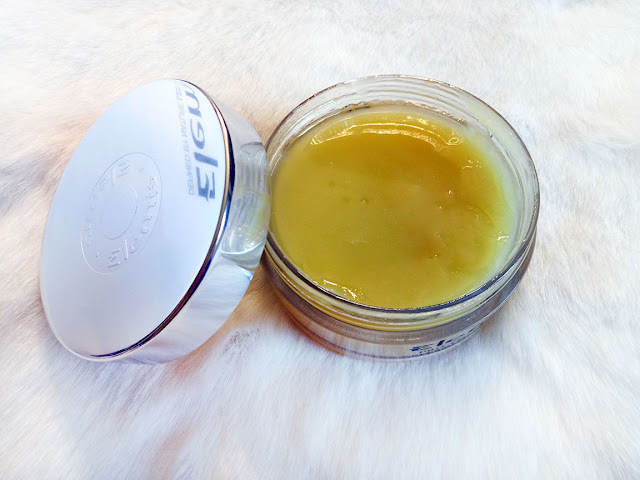 It feels fresh, soft, hydrated and there is a little glow as well which I have always noticed happens when you use natural oils on your face. I do feel that it tends to get slightly greasy if I don't followup with a foaming face wash but that is only due to my combination skin. It will be fine to use alone for people with dry to normal skin. It's for all skin type but I recommend that you use it as per your skin requires it. Did you know that you can use this Cleansing Balm for more than just Deep pore cleansing? 3. you can use it on your hands as well as cracked feet and ry skin anywhere on your body for nourishment and exfoliation. The final verdict is that I am quite satisfied with this product and it has become a part of my daily skincare regime. Now let's discuss investment. I call it investment, not price because even though it costs a hefty amount of PKR 7,550 one jar last you about approximately three months or even more. It is also full of great ingredients and essential oils which are definitely not cheap. You can buy this product online as well, yaas. You can buy it on Daraz.pk HERE. I sincerely recommend this to women who are 30+ as this will seriously make a difference.